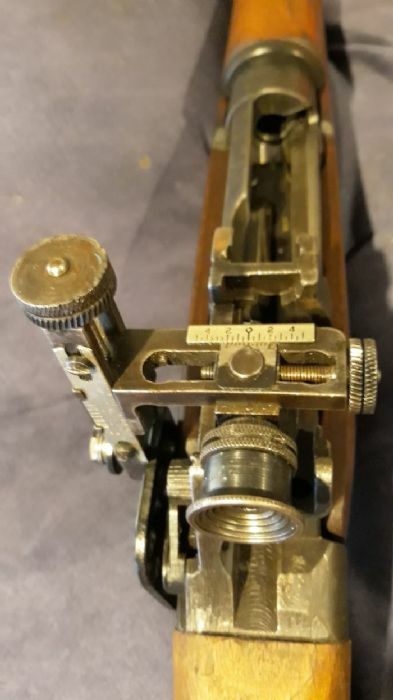 I purchased a No4 Mk 1 recently and i'm interested to learn its history and sort out what the markings are on this particular rifle. 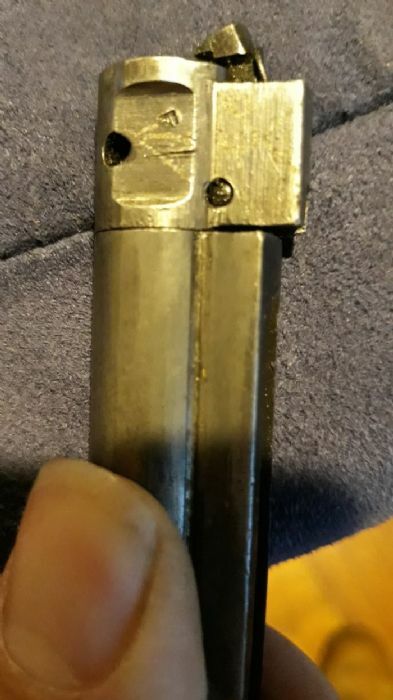 so the stamps on top of the receiver aren't factory stamps any ideas on what kind of stamps they are? Somebody was attempting to make their own identification marks using a store bought stamp set. The ampersand stamp is a dead giveaway to that. The other giveaway is that Fazackerly would never have put a stamp on top of the receiver area of their No4. You have a very nice looking rifle. 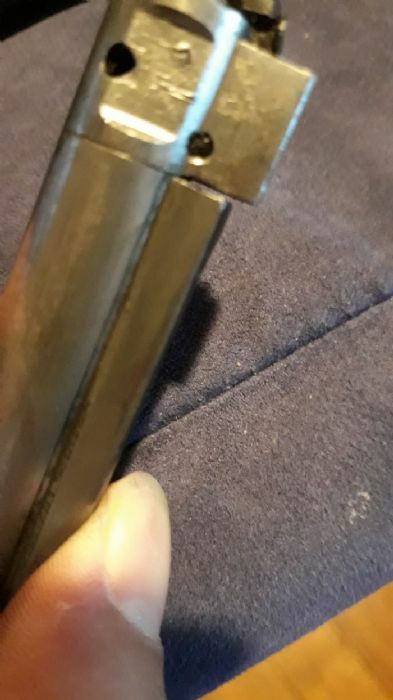 The question that will certainly be on some minds here are going to be about that rear target sight assembly you have on it. I have a few PH-5C target sights by Parker Hale on a couple of my No4 rifles. 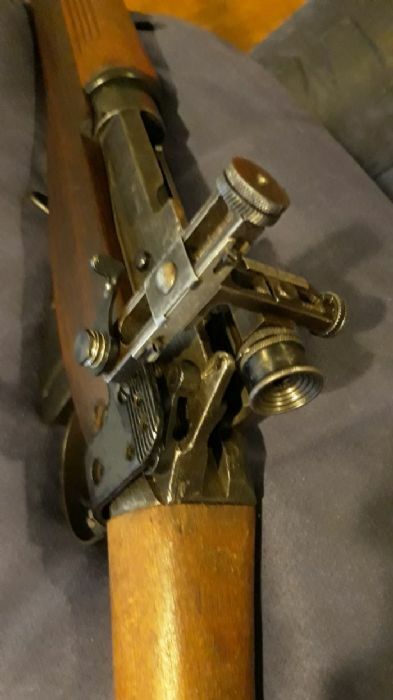 I would like to know what yours is and does the rifle still have the original rear sight on it as well. So im guessing its not a fazackerly then what on earth could it be? 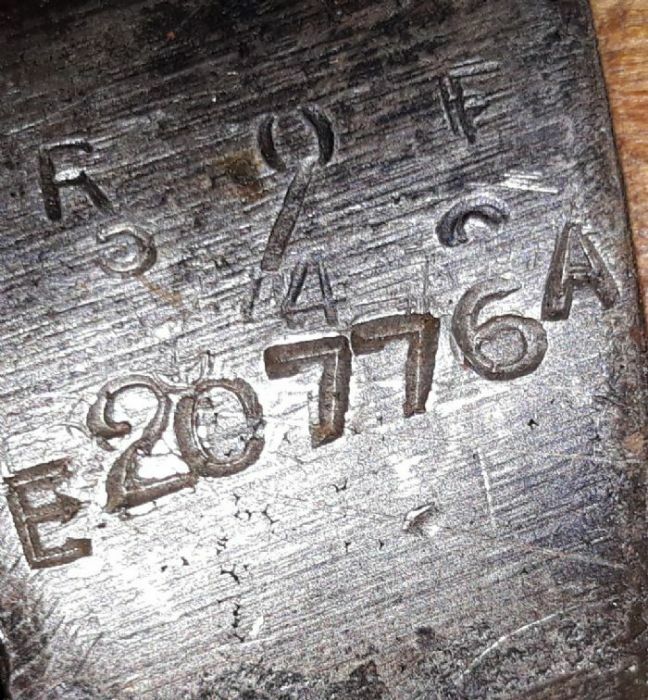 The ROF stamp,the date stamp, and the serial number are correct. The rifle was made at the Fazackerly plant. The N over N,the E over E,and the and sign were added by who knows who,after the fact. Those are not a factory stamping of any sorts. Love to see another close up shot of the rear sight. All looks nice to me. Central are a really nice Aussie vernier micrometer peep sight. Very interesting sight. Thanks for the additional pics. The "crossed flags" are a proof mark. (Proof it passed a pressure/function test) There are several variations.